The glorious year-round weather is just one reason why a wedding in Brisbane is a marvellous idea. If you live in Queensland or are planning the perfect destination wedding, then we have the ultimate list of wedding venues in this area for you. Choosing the ideal wedding venue can be a difficult decision just because there are so many to choose between. There are lots of little details that can make the venue the right one for you and your partner, but not everyone has time to research every venue to find all those little details out. Is the place big or small? Is it flexible in terms of space and rooms? Do you want an all-in-one space where your ceremony, photos and reception are all in one place? Do you want modern or vintage? Do you want to decorate it yourself, or not even have to think about that bit? Do you want luxury and attentive service, or a totally unique place that is completely surprising and new? Fortunately, we are here to do some of the leg work (and the boring bits) by narrowing down a list of our favourite wedding venues for a Brisbane wedding. Now you just need to pick a few from this list, then take a tour, eat some of their delicious food, sample the wine and get a feel for the atmosphere. You will know when you have found the right one for you. There is no other place like Bundaleer Rainforest Gardens. Four acres of gorgeous gardens just 20 minutes from Brisbane, you can choose from a garden or deck ceremony, followed by a reception in the Treetops room or the luxurious silk-lined marquee. From rustic to elegant and everything in between, fantasy weddings come to life here. The Brisbane Convention and Exhibition Centre offers a number of incredible rooms to host your glamorous wedding day. Our favourite pick is the Sky Room and Terrace, perched right at the very top of the city and overlooking the glimmering lights, making your entire day a magical occasion. The space hosts up to 150 guests banquet style and 300 for a cocktail soiree. The staff are friendly and on hand to serve all your guests anything they need, while the food is beyond compare. In the south Queensland hinterland, you will find the historic property of Glengariff. An award-winning venue and one of the oldest exclusive estates in Queensland, you have to see this place to believe it. The dedicated wedding coordinator will see to your every wish and ensure your personal love story is expressed in every detail. 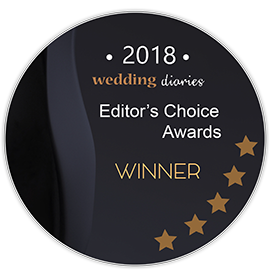 With over 30 stunning photo, ceremony and reception locations, including the lake and jetty, historic barn, waterfall, stone arbours and a variety of beautifully outfitted rooms. Hidden on South Stradbroke Island, this elegant tropical wedding venue has become famous as one of the very best places to wed in Australia. Brimming with both charm and luxury, this place will need a minimum of decoration to look perfect for your big day, because it is stunning even in its natural state. Crafting fairytale reception packages for all styles, sizes,and budgets. If you want to fall in love at first sight with your wedding venue, you must take a wander through their gallery online. As a setting, it is simply sublime. This is a stunning posh 1920s hotel with a refined restaurant and pool area. Offering luxurious rooms and suites, if style and pizazz are your calling cards, you must check out Ovolo Inchcolm. They hold only the most fabulous events here. From the smallest detail, to the grandest event, you will feel like you have stepped into a storybook when you come to Mirra. A converted warehouse that you have to simply see to believe, the interior has a vintage Paris meets Shanghai design. With hand-painted screens and touches of bronze and gold, this boutique and versatile space will delight your family and friends. With wonderful food, friendly staff and a range of indoor and outdoor spaces for every aspect of your complete wedding day, talk to the events team at Mirra today. We talk about reception venues that are different and unique, but Villa Botanica is something completely extraordinary. This exclusive venue in the Whitsundays with outstanding views across the Coral Sea, this is the ideal set up for a wedding with a difference. Specialising in stress-free weddings that are chic, classy and contemporary, this venue is for discerning couples and those who want the finest in life. One of the most stunning things about Queensland is the rainforest. At Cherbon Waters you are nestled in the lush green rainforest, and with water views out in front of you, could feel as though your wedding is the only thing happening on earth. Specialising in exclusive garden ceremonies and marquee receptions, you also have extensive grounds for plentiful photo backdrops. Their complete wedding service will help plan every step and design a wedding day tailored just for you. This is an exclusive colonial style garden wedding venue and luxurious event space and bed and breakfast. With a lovely chapel to exchange your vows, and accommodation for the bridal party, this place is dedicated to making your whole wedding an event to cherish forever. For an extra special reception touch, why not try high tea in the glorious fountain courtyard? A little outside the city, but well worth the day trip into the hinterland, you will come upon this winery, brewery,and restaurant. Renowned for its breathtaking views across hills, vines,and the ocean, as well as being a place of incomparable gourmet food and boutique crafted beverages. Thousands of happy couples wed here before highly recommend this venue, and when you see it, you will understand why.